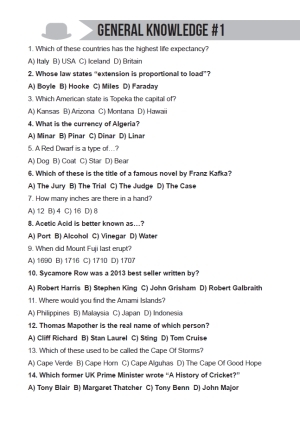 Welcome to this fantastic collection of over 1000 quiz questions, not just for the recipient but the whole family! This title is currently available for Grandad, Nan, Mum & Dad. For other relations, please contact us. Can you take on the challenge of all 40 quizzes and become the greatest quiz expert? Featured inside this book is a great range of diverse mixed topics to truly test your knowledge. Answers are featured at the end of every quiz and multiple option answers are provided with every question. Can you crack them all? We hope this unique collection will provide Grandad and the rest of the family many, many hours of satisfaction and brain teasing fun! 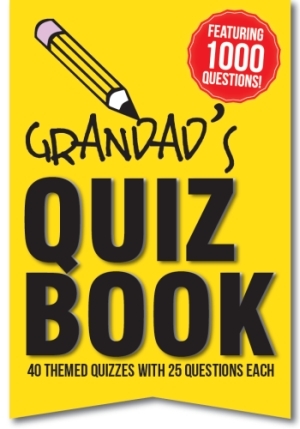 The personalised quiz book is available to purchase right now from Amazon.co.uk. Below is the link to amazon.co.uk.